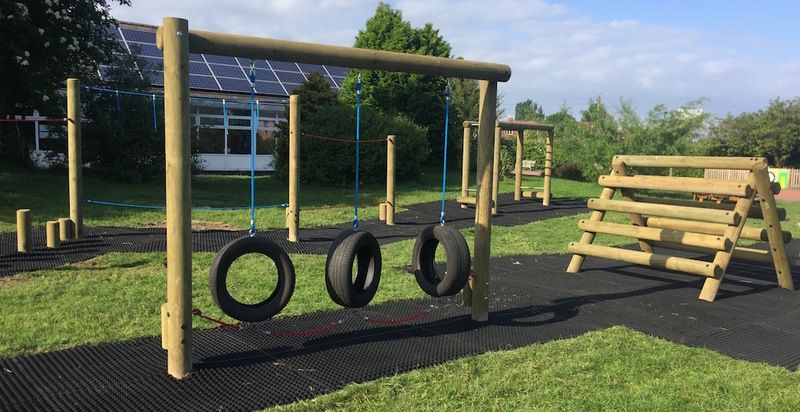 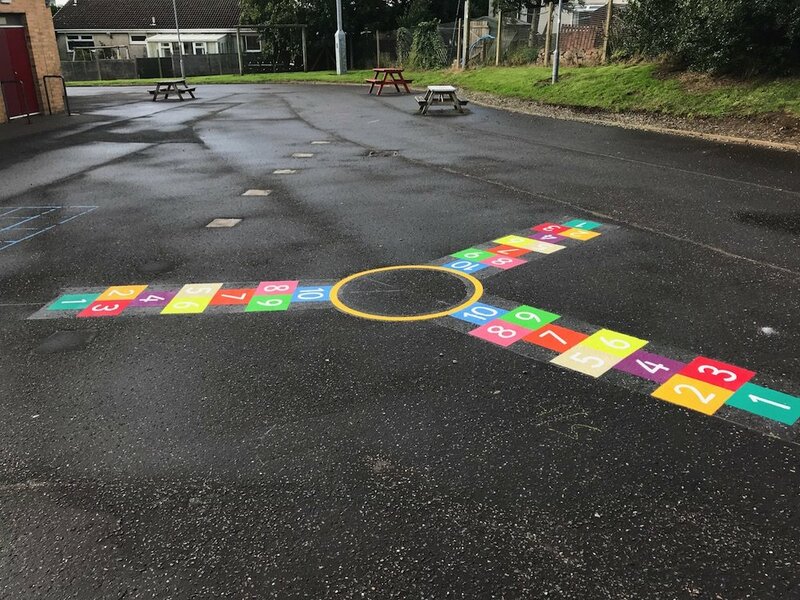 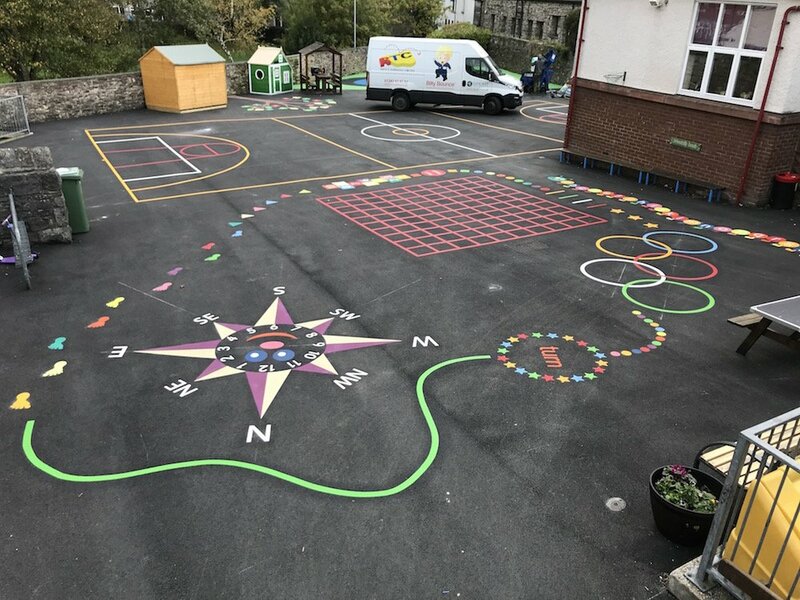 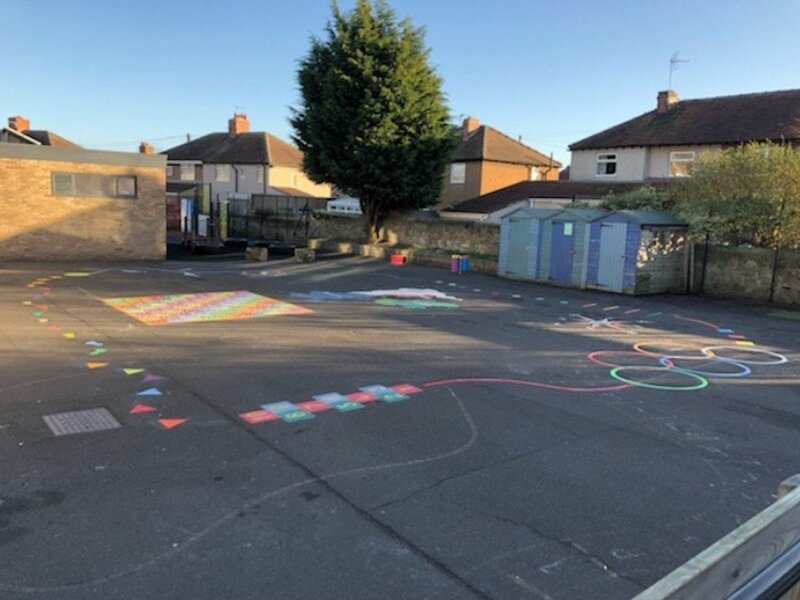 first4playgrounds have recently completed an installation of playground equipment at Farne Primary School in Newcastle upon Tyne. 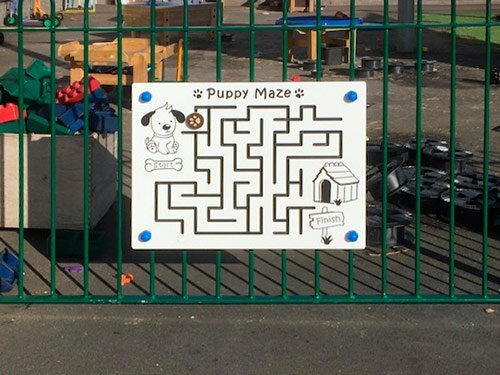 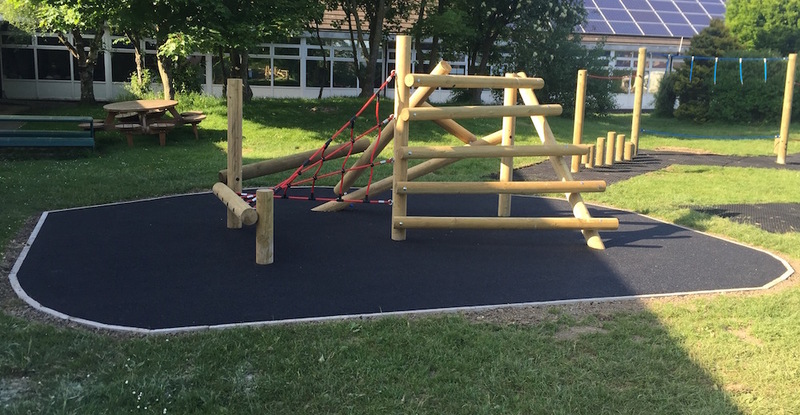 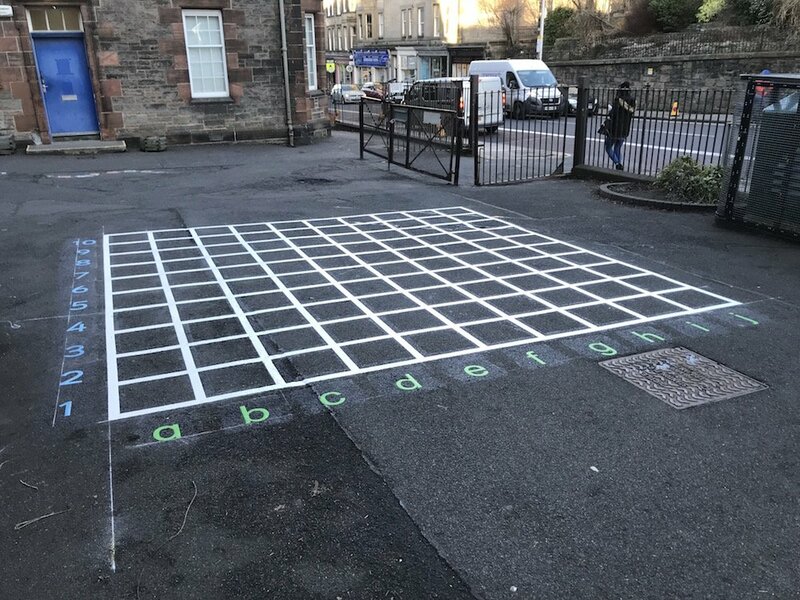 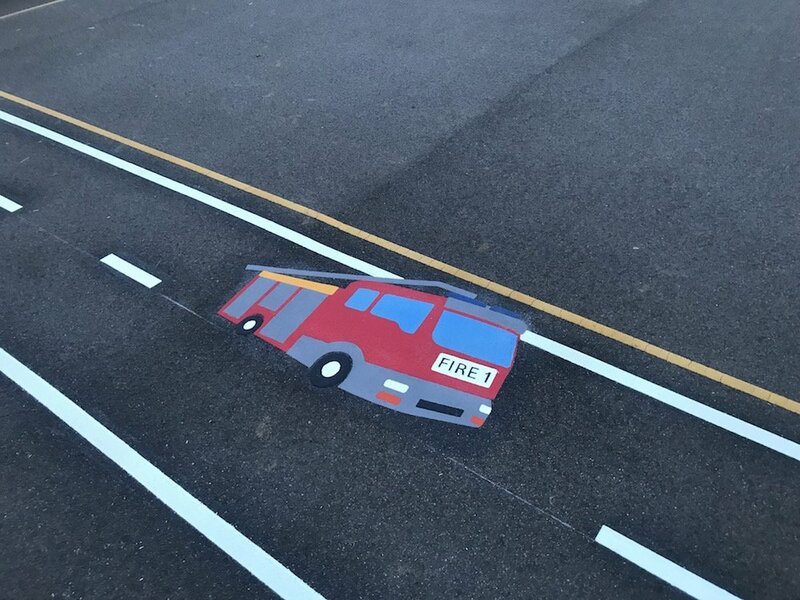 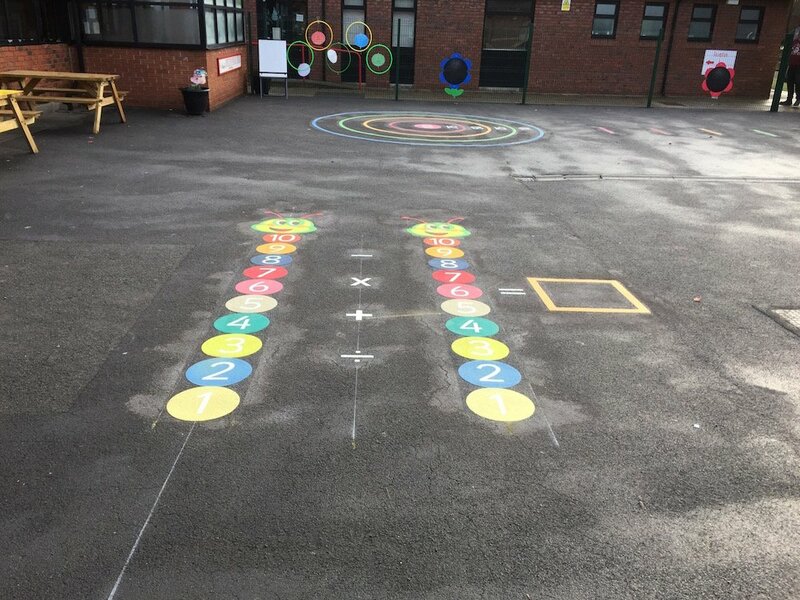 There were two feature play equipment stations with black wet pour safety surfacing and a trim trail circuit joining the two together. 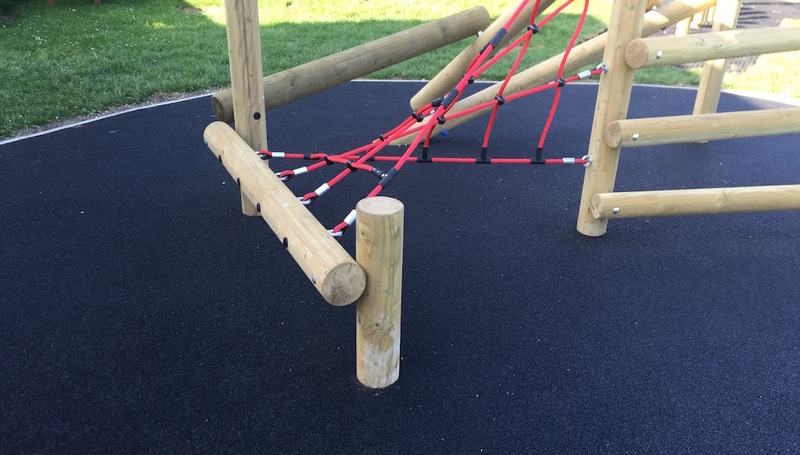 The Trim Trail consisted of a Rope Balance Beam, a Ladder Walk, a Tyre Swing and a Log Climber. 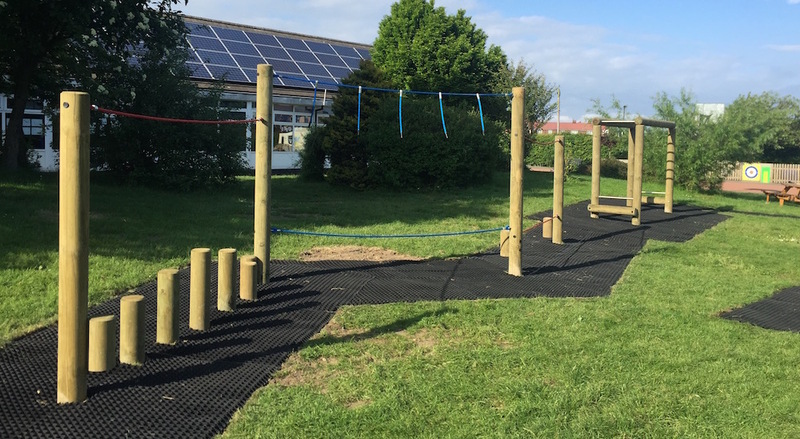 We used Grass Matting used as safety surfacing around the Trim Trail.